Today, I will have my fourth joint replacement surgery. Ouch! So not looking forward to the next three weeks, but I know it will be great after that. Lots of physical therapy, and lots of time with my right leg elevated, and ice on the knee. The last joint needs this tune-up. So....there may be a little delay in processing orders for the next three weeks. I will have people here helping me with orders now and then. Just want you to know what's going on. 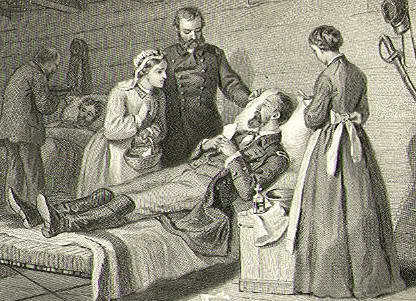 I'll be back to my self in no time. I have prepared lots of hand stitching and a list of movies I'd like to watch. iPad and my computer will also keep me company. 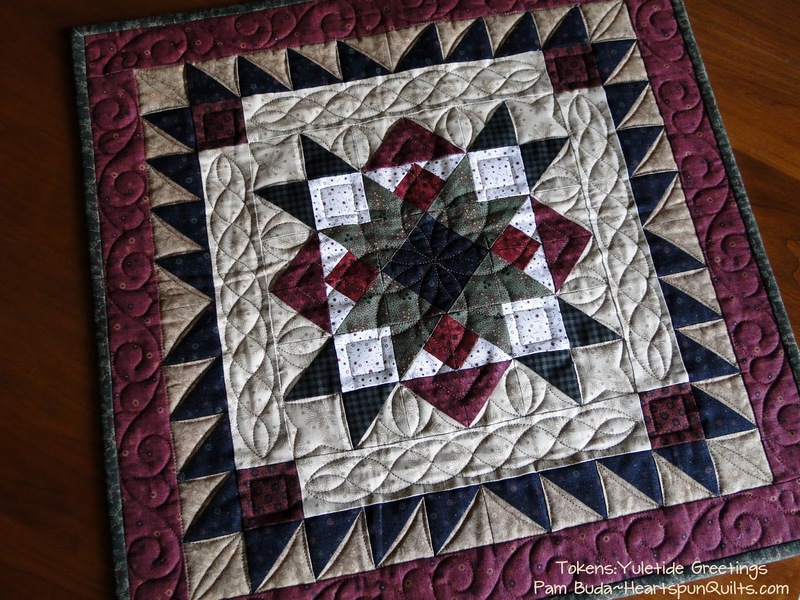 Quilter's Are The Best People! 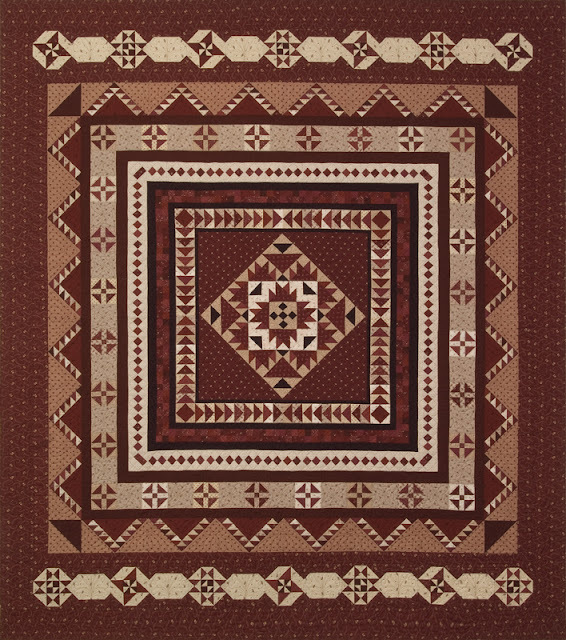 I just returned from visiting the Etowah Valley Quilters Guild in Cartersville, GA. What a fantastic group of women! 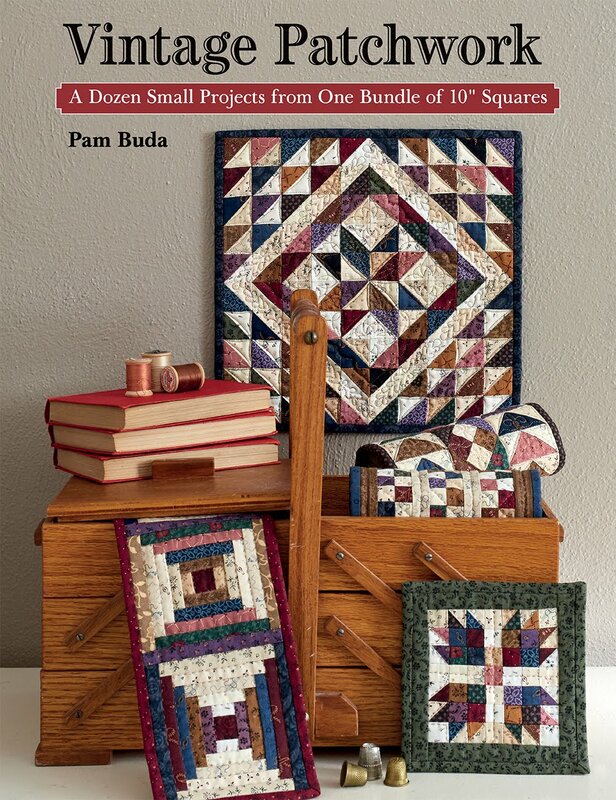 I am so lucky to be able to spend time with quilters in lectures and workshops because - bar none - they are the nicest people on the planet!! Southern hospitality was everywhere I went, be it a coffee shop, restaurant, or with these ladies who all made me feel very welcome and at home. 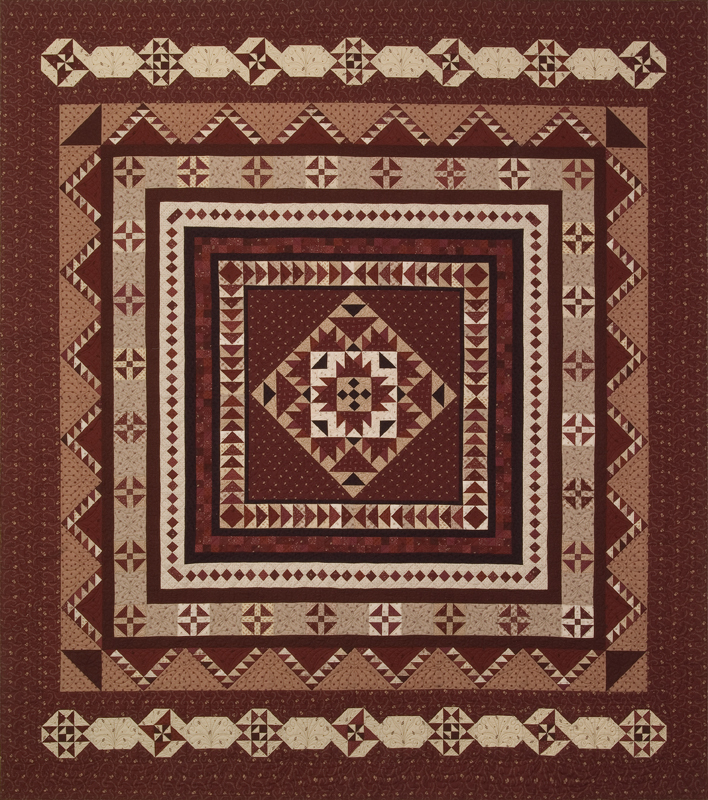 My thanks to all of the Etowah Valley quilters for making my visit one to remember! My hubby and I also spent a few days vacationing in Alabama's Gulf Shores. What a beautiful place! We walked the cleanest beaches I've ever seen. Great Southern food, lots to do and see. I am very happy we went. Cross another state off my bucket list. Three more to go to be able to say I've been to all 50 states!! Two more next year for sure. 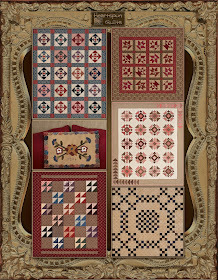 Back at home, I'm working on multiple projects for fall market. 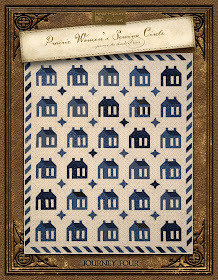 Deb and I are piecing my new Block of the Month and I can not wait to show it to you!!! Over the moon happy with the fabrics and the quilt is turning out so lovely. I should be able to show you everything next month. I'm also working on my "super secret scrappy project" and will be able to give you sneak peeks at that one in September. 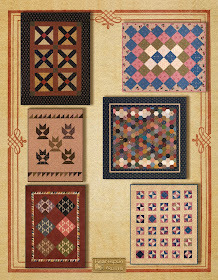 More fabric lines are in production and two more going to be submitted later this year. 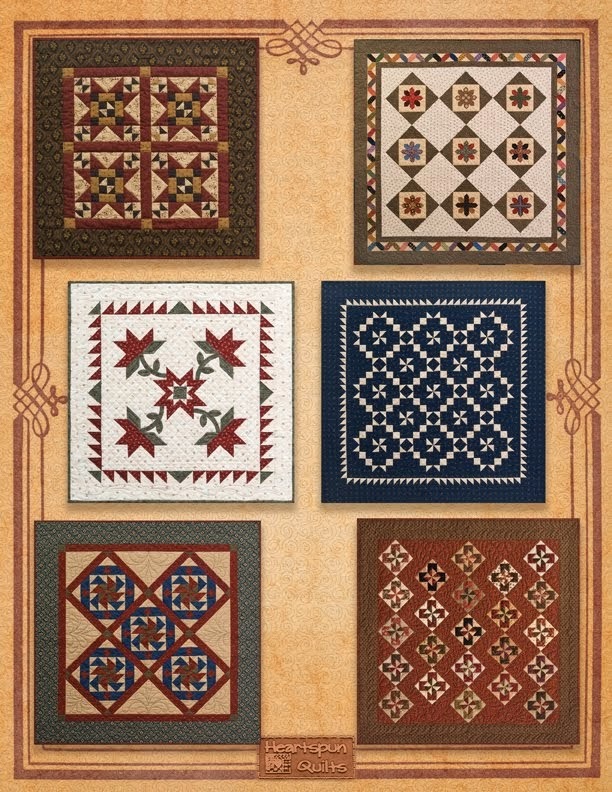 That means lots more quilt designs to do as well. Geesh....no boredom here!!! Enjoying a summer weekend at home. Hot and humid, but sunny....summer in Chicago! 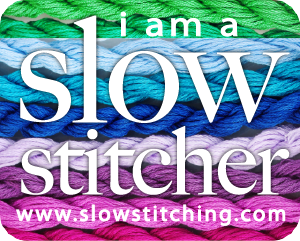 Be well...stay cool and happy stitching! I invite you to join me for a very fun event! 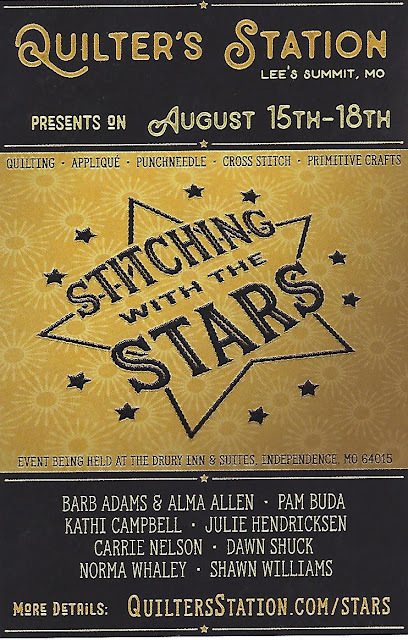 Stitching With The Stars is a brand new venue by Quilter's Station Quilt Shop in Lee's Summit, MO. 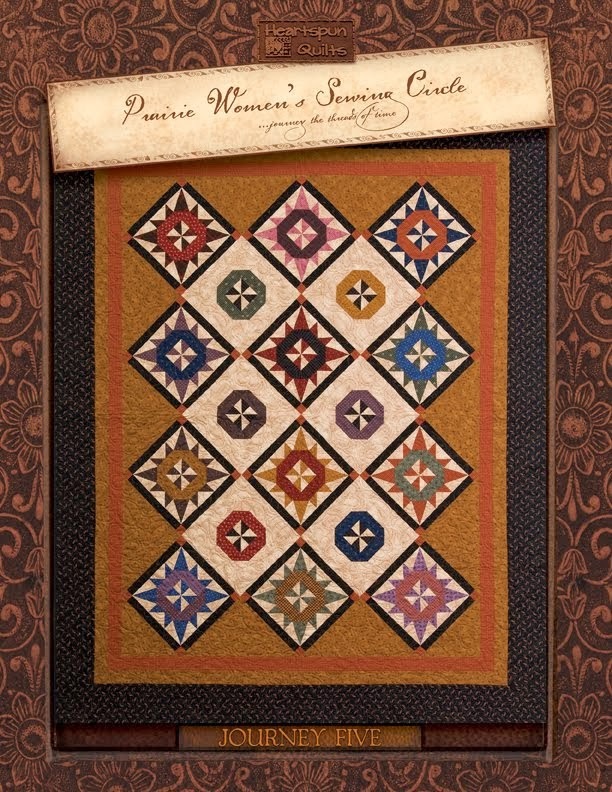 For the last ten years, Quilter's Station shop owner, Rita Briner hosted Primitives of the Midwest and 2017 was the last year for Primitives. The event is held in an awesome hotel right where the classes are each day. 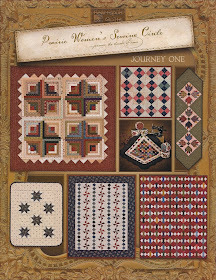 And....Quilter's Station is just minutes away....and is one of my favorite quilt shops in the U.S. 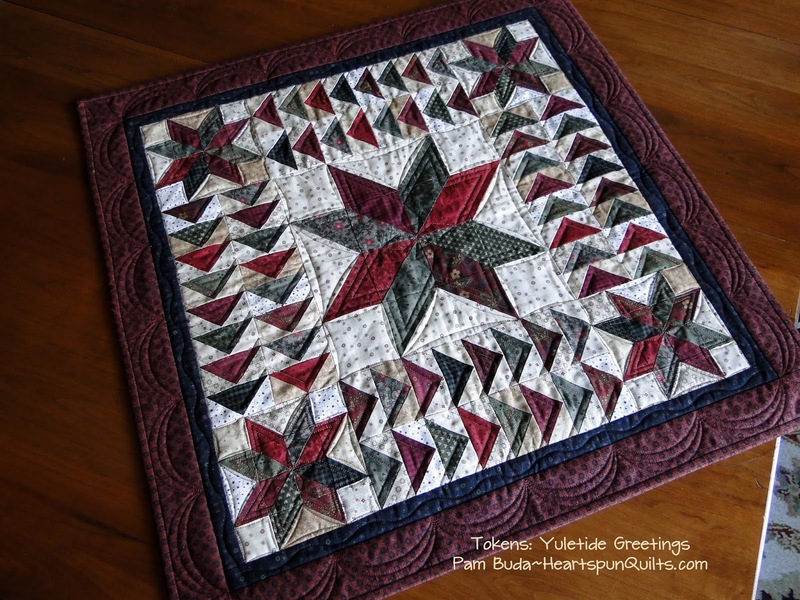 There are tons and tons of great places to eat nearby, what more could a quilter want?? Good times and fun projects await you. I have two workshops planned and can't wait to see what the other teachers will be doing. 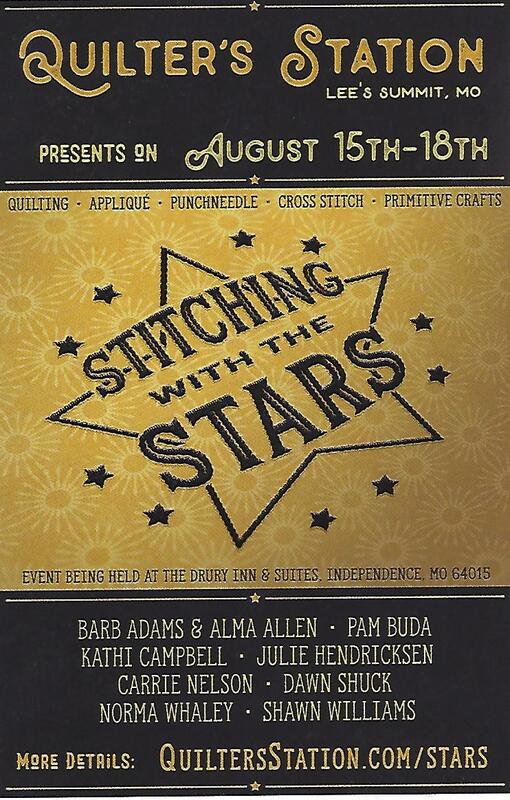 So...join the fun and come Stitching With The Stars! I'm headed to the Gulf Shores of Alabama, which will cross another state off my bucket list. (I will then have 3 more to go to have visited all 50 states + DC!!) 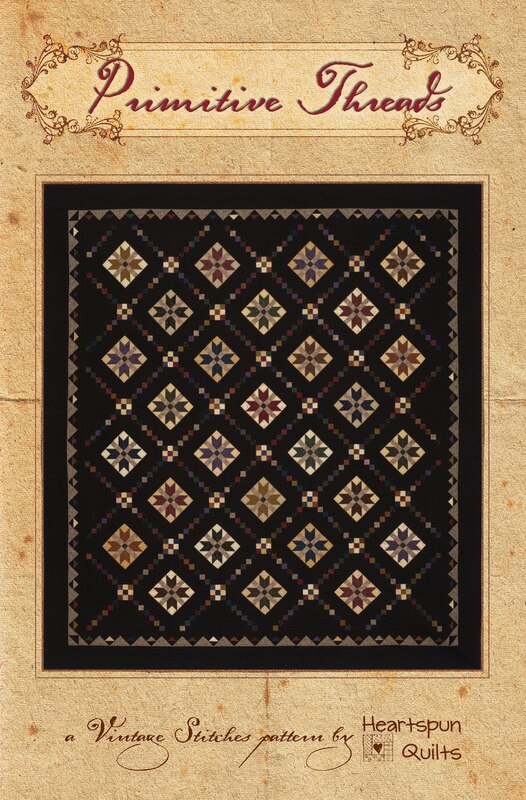 Tuesday, I'll be traveling to Carterville, GA to be with the Etowah Valley Quilt Guild. So looking forward to it! Hope to see some of you there! Click here for the details. America, Hooray! quilt ~ Approx 11" x 15"
Memorial Day just passed and we're beginning to enjoy the summer. It won't be long before we're celebrating our country's independence! What better way to celebrate Freedom than with something FREE?!! 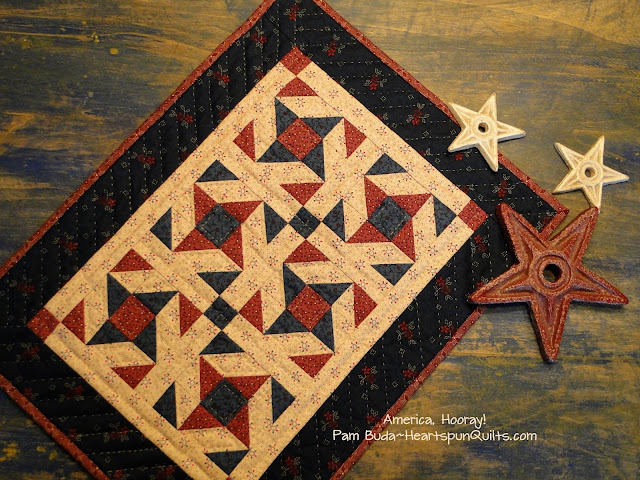 My America, Hooray quilt pattern/kit may be coming to your home absolutely FREE!! 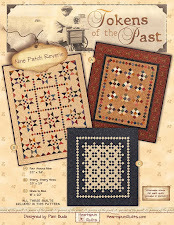 * Place an on-line order for at least $15 to get the pattern FREE. 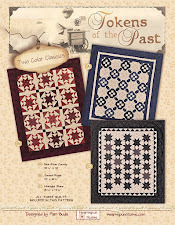 * Place an on-line order for at least $35 or more and receive the pattern AND the fabric kit FREE!! ~ Qualifying orders placed Thursday, June 7th through Sunday, June 10th are eligible. ~ Your freebie will be added to your order when we package it up. 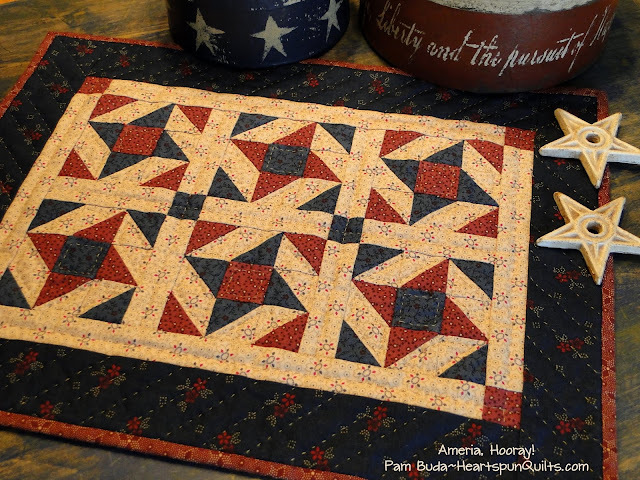 The America, Hooray quilt is not found on my website, so don't worry about having to place it in the shopping cart. ~ Similar fabrics may be substituted. ~ One offer per person. ~ The total of items purchased determines your free gift. Shipping charges are not included. There are lots of new things on my website to order! 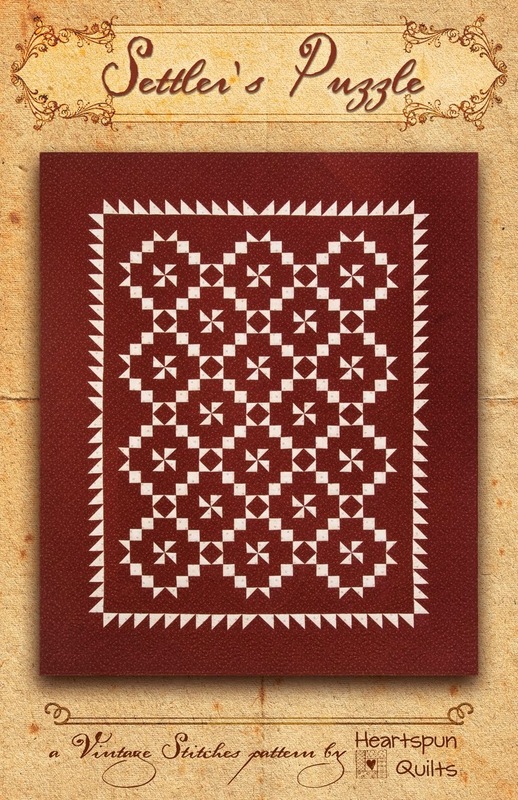 My brand new Primitive Threads pattern is hot off the press! 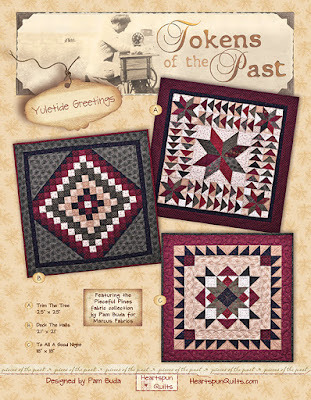 My newest Tokens of the Past pattern, called Yuletide Greetings, features my Pieceful Pines fabrics! I took these photos without a flash so the quilting designs would show up better. All three quilts are in the Tokens of the Past: Yuletide Greetings pattern!!! 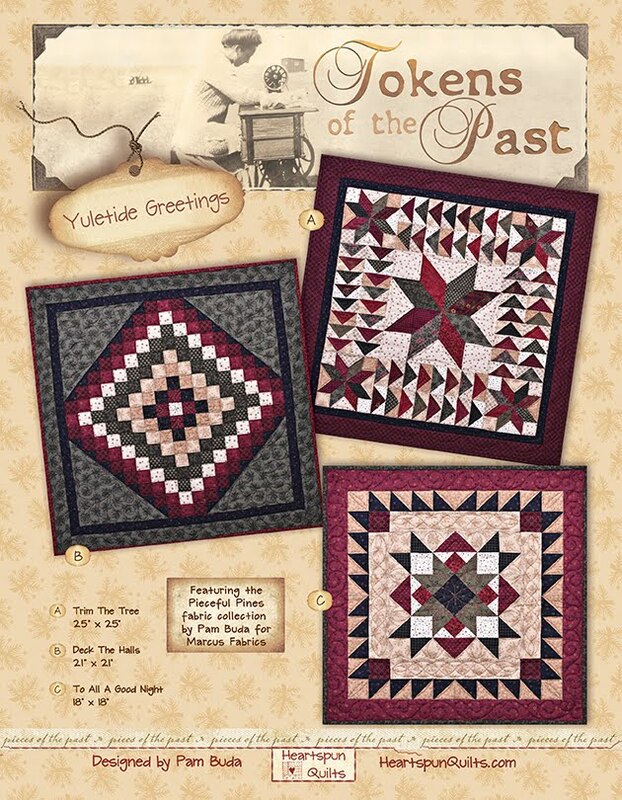 There are a few Yuletide Greetings kits left as well. There are loads of patterns, fabric bundles and fabric by the yard!! Check out the notions section, too! Bloc-Loc rulers are also in stock along with many other useful items. Take your time and browse! My little America, Hooray! quilt takes no time at all to piece, so it's sure to be ready for the July 4th holiday. Thank you for your continued support of my quilt designs, patterns and fabrics. You make it possible to continue doing what I love and I appreciate it more than you know! 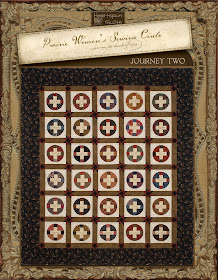 Click here to shop Heartspun Quilts. 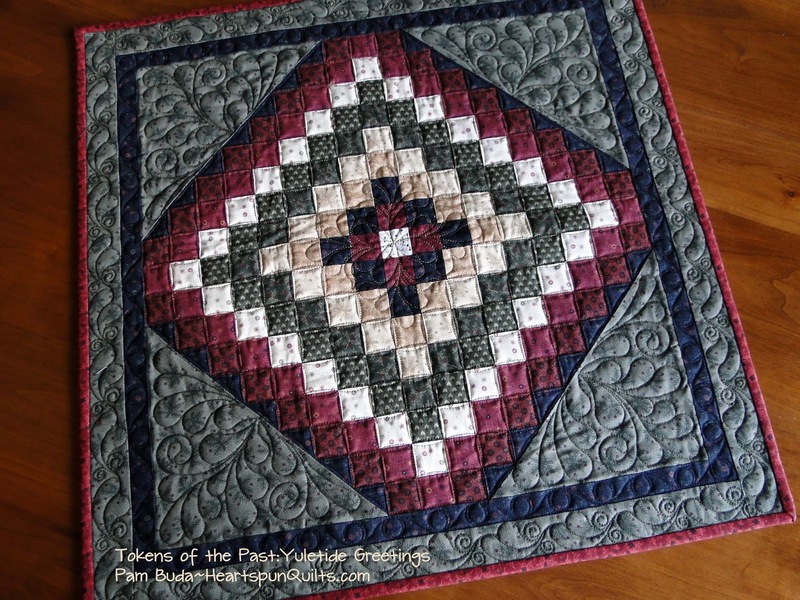 I was delighted to receive this photo from Shari Sistek (who lives in Ohio) of my Prairie Gathering quilt all done in blues. Love, love, love it!! It looks so great in shades of blue. Thanks, Shari, for sending the photo to me. I'm sure everyone is enjoying your beautiful quilt. 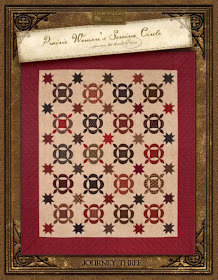 If you're loving my Prairie Gathering quilt, you can purchase the pattern here and create it in your favorite color!! I've been traveling a lot this month which is why I haven't been blog posting as often. When I am home, I play catch-up for days. I honestly don't know anyone who doesn't have a busy life and wishes for more balance everyday. I am excited to be traveling to the Atlanta, GA area in just a few weeks. 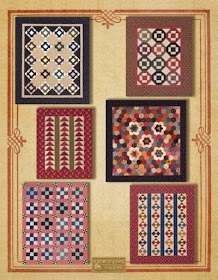 On Tuesday, June 19th, I'll be stopping in at the Cottontail Quilt Shop in Kennesaw for a meet & greet. I'll be there at 3pm, so if you're in the area, please stop by the shop. 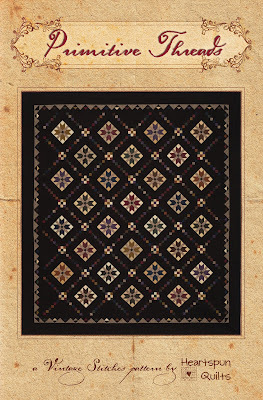 Then, later that evening, I'll be giving a lecture at the Etowah Valley Quilt Guild at 7pm. They meet at the Cartersville Civic Center. Workshop the next day. I'd love to meet you so please stop by! 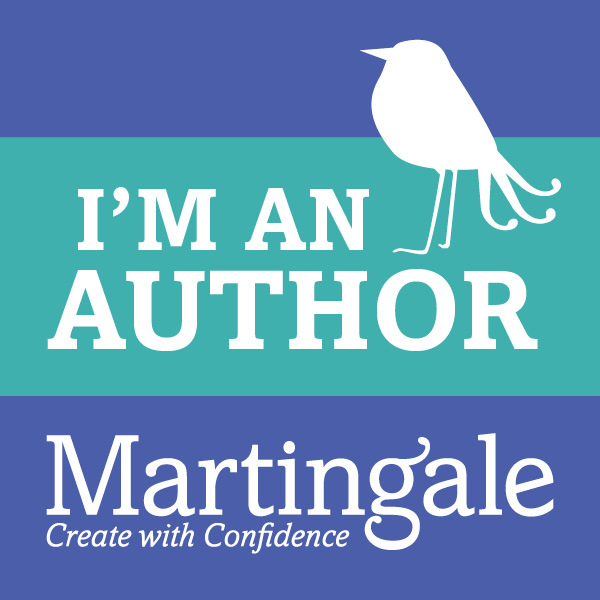 I invite you to visit my blog this week Thursday for an exciting announcement! Until then, Be Well....Stitch Happy!